Protect your home with hail resistant shingles. Learn more today. Make Your House Hail Resistant Today! Priority Restoration, Inc. makes the promise that our customers will be 100% satisfied. We never require deposits until there is material on the job and work has commenced. Until then our customer owes us nothing. Next, we strive for perfection. If our customer is not 100% happy with their project, one of our owners will handle the issue personally. There will never be a gatekeeper preventing our customer from getting matters resolved immediately and effectively. 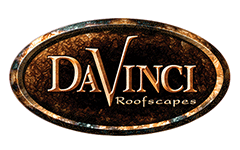 We install a wide array of different roofing types and designs. 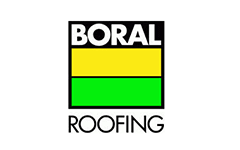 Do you need an estimate for recent storm damage to your roof? If so, click here! We offer a wide variety of services to home owners of single and multi-family homes: from roofing and painting, to gutters and siding. Our commercial construction division has years of experience working on large construction sites. From schools to senior living centers, we’re fully staffed to handle any job from 1 to 3000 squares. We Specialize in Exterior Storm Damage Restoration and New Construction Including Roofing, Gutters, and More! Your home is many things – a sanctuary, a castle and an investment. You have likely invested time, money and effort to make your home as comfortable as possible, and when your home is damaged, the last thing you want to do is spend too much on the restoration work or deal with the consequences of unnecessary or second-rate work. When you call Priority Restoration and one of our project managers visits your home, you can rest assured that their top priority is to make your home, and you, whole again. Our experts will always provide an honest damage assessment, and if repairs need to be completed, they will thoroughly explain why and answer any questions you may have. 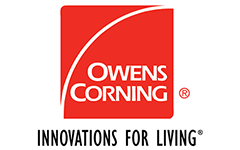 Our restoration plans include the latest products and techniques available, including total solutions for your home that can reduce your future energy bills and make your home more environmentally friendly. A complete list of our restoration services is available here. In addition to servicing residential homes, Priority Restoration also provides maintenance for multi-dwelling properties such as apartments, condominiums, and senior living facilities. We specialize in roof and siding repairs and gutter leaks. In addition to work done on a per-project basis, we also offer annual Service Maintenance Plans that include routine roof, siding, and gutter inspections and preventative maintenance, all included for one low annual fee*. Take the worry and hassle out of maintaining the exterior of your properties by calling Priority Restoration today at (303) 660-5133. * Service Maintenance Plans do not cover wind, hail, fire, or water damage. Fees are determined by the location, age of the property, and the type of materials used during construction. Rate discounts apply to multi-year agreements. 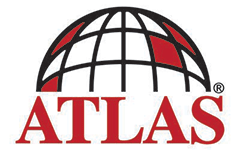 We are proud to be one of three Platinum Contractors with Atlas! We Proudly Support the American Heart Association and 2Hearts! We are honored to support and MATCH the “Roofs for Troops” program!